The Spousal Sponsorship program is a subsection of the Family Class immigration category, under which a Canadian or permanent resident may sponsor his or her spouse/common-law partner for Canadian permanent residence. Both the Canadian citizen or permanent resident (also called the 'sponsor') and the foreign national (the 'sponsored person') must be approved by Immigration, Refugees and Citizenship Canada (IRCC, formerly CIC) in order for the sponsored person to receive a visa. The spouse or common-law partner applies for permanent residence. Under the Inland sponsorship category, the foreign spouse/common-law partner must have valid temporary status in Canada, either as a worker, student, or visitor. If the sponsored person already has a work or study permit, he or she may continue to work or study as long as the permit is valid, however it is important to note that working and studying in Canada without valid status are illegal and may result in serious consequences for the sponsored person. In contrast to Outland applications (where the spouse is residing outside Canada), the person being sponsored through the Inland route may be eligible for an Open Work Permit while his or her application is being processed. This program can help to mitigate the consequences of a long application process by enabling the sponsored person to work for a Canadian employer, without first having a confirmed offer of employment. Applicants who would like to obtain an open work permit should apply for one at the same time that they apply for permanent residence. However, IRCC states that if a sponsored spouse or common-law partner has not submitted an application for an open work permit at the same time as their permanent residence application, he or she may still submit an application for an open work permit at a later stage. If IRCC requires an interview, the sponsored person will be notified, in writing, of the date, time and location of the interview, and of the documents he or she must bring. In the event that a sponsored person’s application is refused, he or she is required to leave Canada immediately at the end of his or her period of temporary stay. Additionally, if the sponsored person leaves Canada at any point while the application is being processed, there is no guarantee that he or she will be allowed to re-enter Canada, especially if he or she requires a visitor visa. IRCC aims to process applications submitted through this program within 12 months. Regardless of the sponsorship path chosen, both the sponsor and the sponsored person must meet a number of specific requirements in order to be considered eligible. To find out if you and your partner are eligible for spousal sponsorship, take a free assessment today. 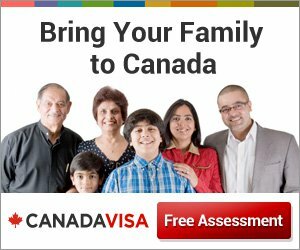 What are your Canadian immigration options to sponsor a loved one?